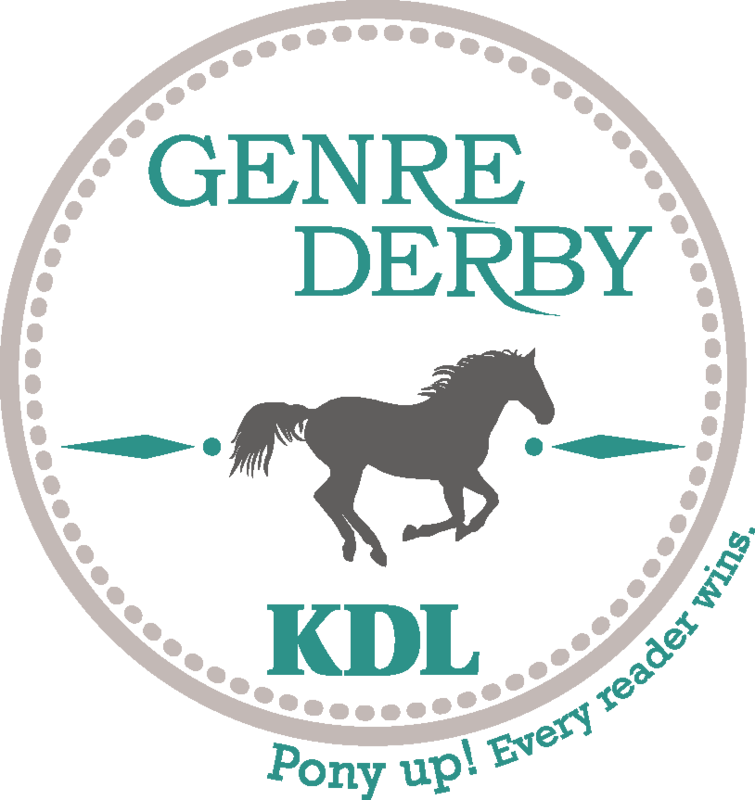 creates a "Book Club in a Bag"
Every reader wins when you "Pony Up" for the Second Annual Kent District Library Genre Derby! The horses are in the chute and ready to run for the money to build collections at KDL. Every dollar you donate toward a "horse" in the race will be spent purchasing books in the genre or subject they represent. Pick your favorite and help us make more of your favorite authors and titles available at KDL! Back by popular demand and in the running again, are the following fiction genres and the horses they rode in on! Adult Fiction, represented by "Jodi PiCOLT"
Classics, represented by "Ernest HemingNEIGH"
Mystery, represented by "STEED Larsson"
Science Fiction / Fantasy, represented by "Orson TROT Card"
Donate now and help us get more new books by backing your favorite genre horse and making sure they are a contender and not an "also ran" in the Derby! Help Kent District raise $500 by making a donation.